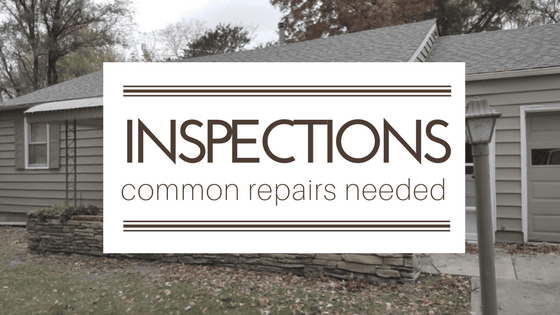 What are the most common inspection repair items when you sell your Kansas City Home? 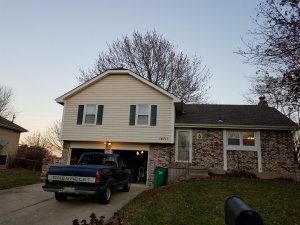 We recently had a friend who planned on selling their Lee’s Summit home for about a year. The went through the home with a fine tooth comb to find anything and everything that needed to be fixed, repaired and updated. They had everything ready to go and then they spent several weeks, packing and sorting and cleaning out. Once they were all ready they thought they had a pretty good house to offer and that it would be an easy sale . . . and it was, first buyer through made them an offer they just had to take. But then the buyer did inspections and they found their nearly perfect house was not so perfect. It was not because there was anything wrong with the house, but because, there are four things that come up in almost every home sale when the buyer inspects. The first one is the Radon Test. They ask you to keep your home closed up as you would if you lived in it and they place a canister in the basement to collect an air sample over a few days. Then send it off to the lab and they get results. 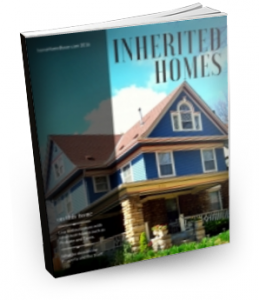 Nine times out of 10, every house we sell comes back needing a radon mitigation system. This is so common in the Kansas City metro that brand new homes are now almost always built with a radon mitigation system. This is basically a system that vents gas from under your basement floor through a tube and out the top of the roof. This lets the Radon escape into the open area where it does not bother anyone rather than seeping through the concrete and finishes into the air of your basement. If the test comes back positive, almost every buyer asks for the system. So plan on spending about $750 to put that system in when you go to sell. Today’s building code requires that all outlets in a home be grounded and when they are around water, like in the kitchen, the bath or outside on a porch that one outlet in the circuit be a Ground Fault Circuit Interrupter (GFCI). Some people get the inspection back and think, oh my goodness, I am going to have to spend $1000s to fix it. Or this was not code when my home was built, so its fine now. All buyers want this fixed because (1) it can be a fire hazard with the non-grounded outlets and (2) it can be a shock hazard with the non-gfci. However, the average handy man or electrician can come in and fix this for a not to expensive of a price. Well less than $1000 and you will be all fixed up. This seems like it would at one time been updated, but for some reason in older homes they did not always put water shut off valves under the sink or toilet. Most sellers are going to ask for this to be fixed. The last item that always seems to come up is gas lines. This might be the gas line going to the Hot water heater or a gas line going to a gas log insert in the fireplace. Almost always this will come up in some way. Sometimes it’s a big deal and others the inspector is just covering his but because he can’t quite see what he is looking at. Either way, it does not cost too much to make the repair. Some home inspectors are great, they check everything and write everything up. Others however take this to the extreme and scare the buyer to death. It’s up to the buyer’s agent to help the buyer take a look at the inspection and determine what is bad and needs to be fixed, what is just information for the new homeowner, and to help them negotiate. You as the seller can and should negotiate on what you will agree to fix and what you will not. You might take the stand that your price was low because items did need fixed. However, if they buyer is getting a loan, they may not be able to get the loan unless all most items are fixed. Then if they can’t get the loan, and you have to put the house back on the market, all those items and that home inspection becomes disclosable to future buyers, and you might have to fix them anyway. Now in homes we have sold, if the inspection items are under say $2000, we usually go ahead and make the repairs. But if some of the items would be nice to be fixed for the new homeowner, but not 100% necessary, we might negotiate that we will fix all items, but the price needs to increase by a few $1000 to cover the repair. An example of this might be that the chimney is older and needs to be lined to make it safe and there would be an expensive option to make it able to burn anything and a lesser expensive fix might be available to install gas logs. We might agree to make the lesser repair at the current sale price, but offer to do the more expensive repair with a $1500 price increase. 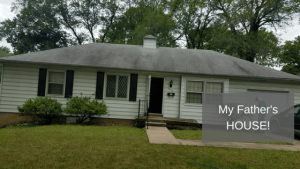 If you are planning on selling your Kansas City Metro home and you don’t want to make any repairs, you don’t want to go through a long drawn out inspection process, you just want to get a cash offer, closing in a few weeks and move on, click here to tell us about your home and we can discuss take a look and make you an offer.